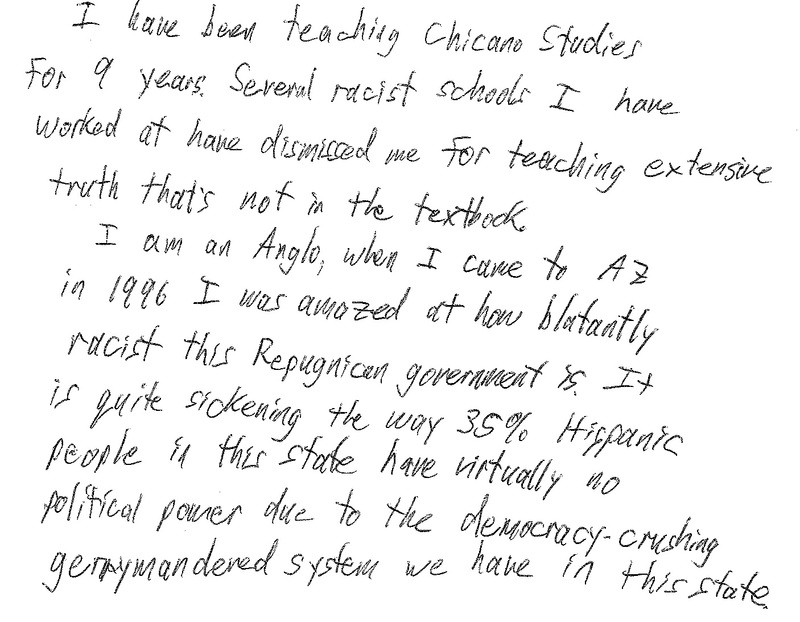 The following letters have been submitted to us from Arizona students around why they believe ethnic studies is important to teach in schools. 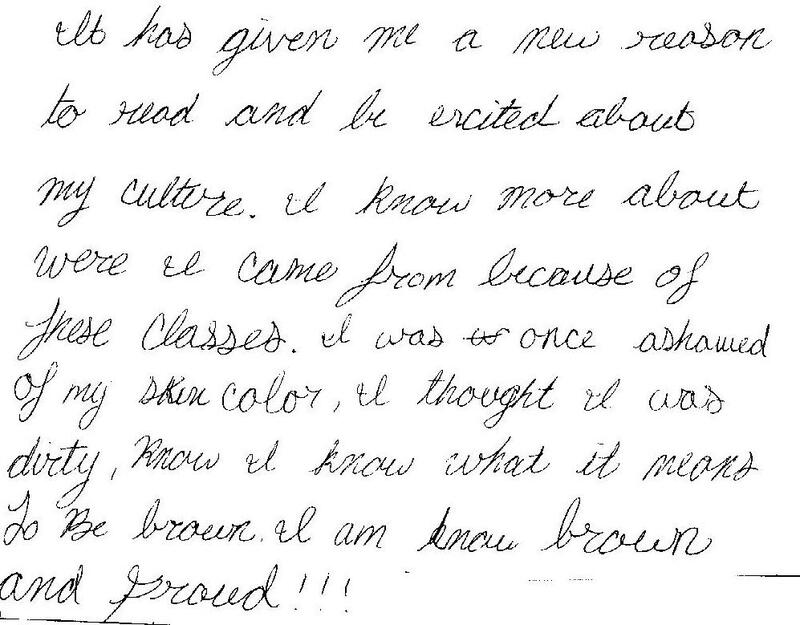 They each received a FREE copy of our book, 500 Years of Chicano History. “I think that teaching Chicano and Native American history to young people is important because everyone has a right to know who they are. 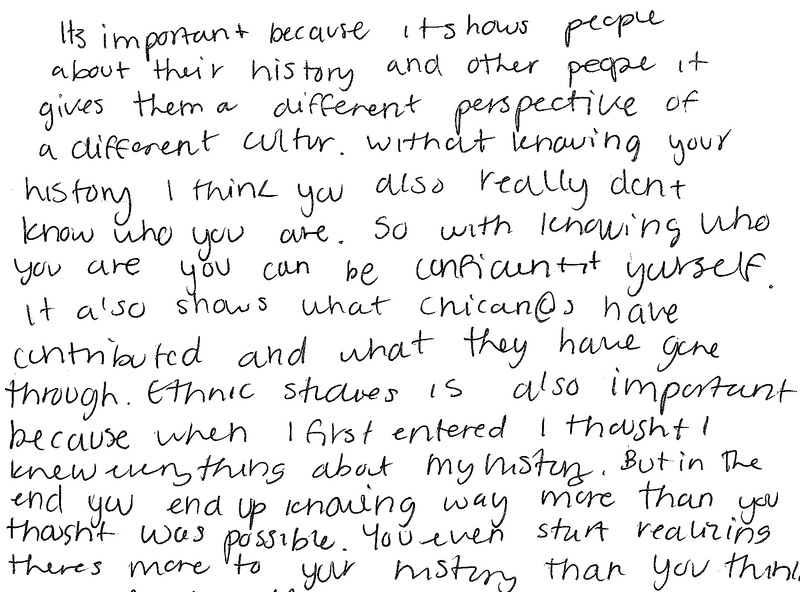 Chicano and Native American history is just as important as all other history. To me it’s even more important because it’s who I am. Before coming to THS, I didn’t understand that Chicanos and Native Americans have done so much for this country and still do so much. I didn’t know many of the traditions that Native Americans have are very much like my Chicano family. I know now that they are similar because even though there are different titles, we are very much the same. It hurts that I haven’t been able to take MAS classes yet because I am only a sophomore and I hope we get them back by next year so that I get to learn more. I am Maria. I live in Phoenix, AZ. I go to English classes at Unlimited Potential. 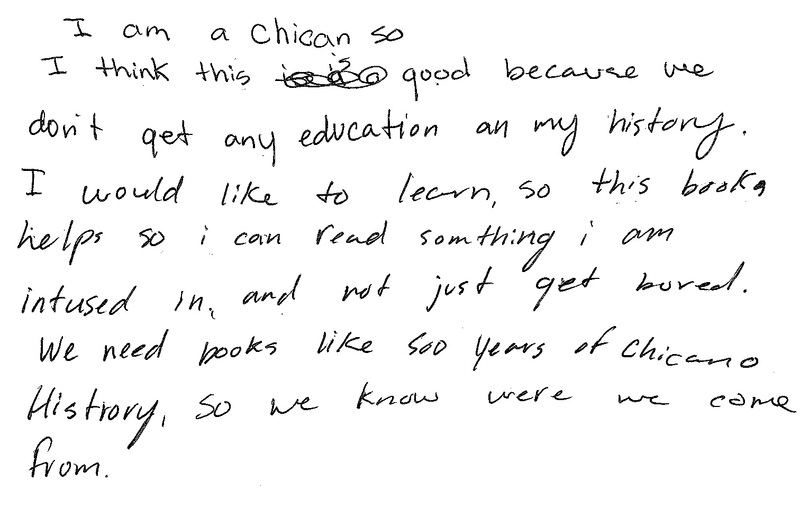 We have been reading the book 500 Years of Chicano History. Personally I have become very interested in this history because I have remembered history that I learned as a little girl in Mexico, especially the invasion of our continent by the Spanish. Now that I am a young adult I understand it a lot better and I would like to continue learning much more so that I can share this with my family and friends. I realized that this book has been censored and I would like to obtain a copy and the coloring book version of 500 Years of Chicano History. 500 Years of Chicano History and 500 Years of Chicano History Coloring Book for Children. 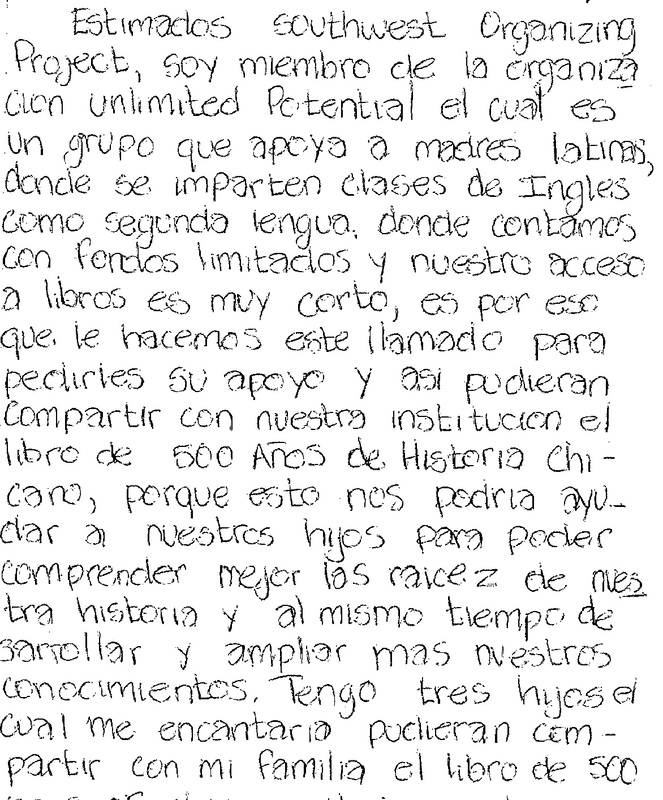 My name is Mireya and I study English as a second language. 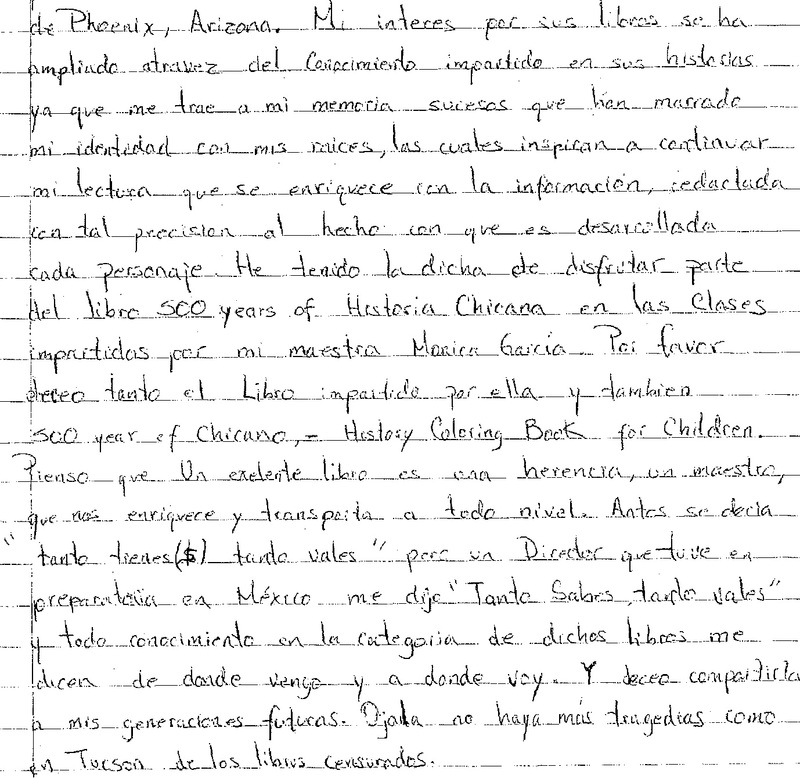 I have heard about the books being censured in Tucson. I live in Phoenix, Arizona, and I would like to know a little more about our history. I don’t want my children to forget about their roots. I would like to own the book 500 Years of Chicano History and the 500 Years of Chicano History Coloring Book for Children because these books address the true history of our fore fathers. That way my children will learn about traditions and celebrations, etc. It would also help me a lot to learn know things that I didn’t know before. I feel very sad knowing that in Tucson they don’t allow children to be proud of who they are and the importance of preserving their traditions. 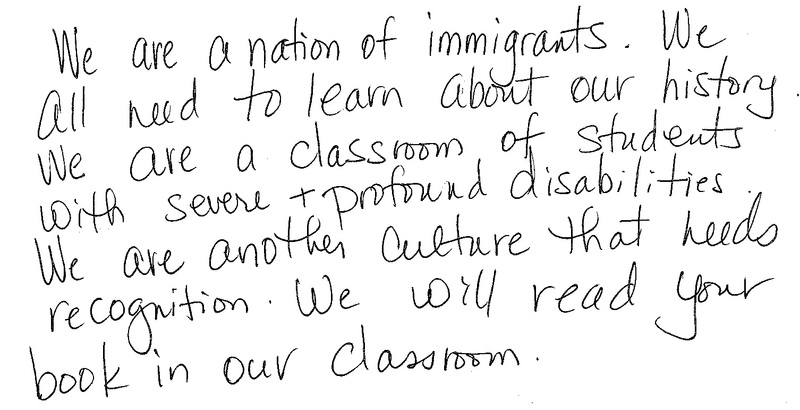 My name is Gloria and I am a student in the second year of English as a second language. I have lived in Phoenix, Arizona for more than sixteen years. 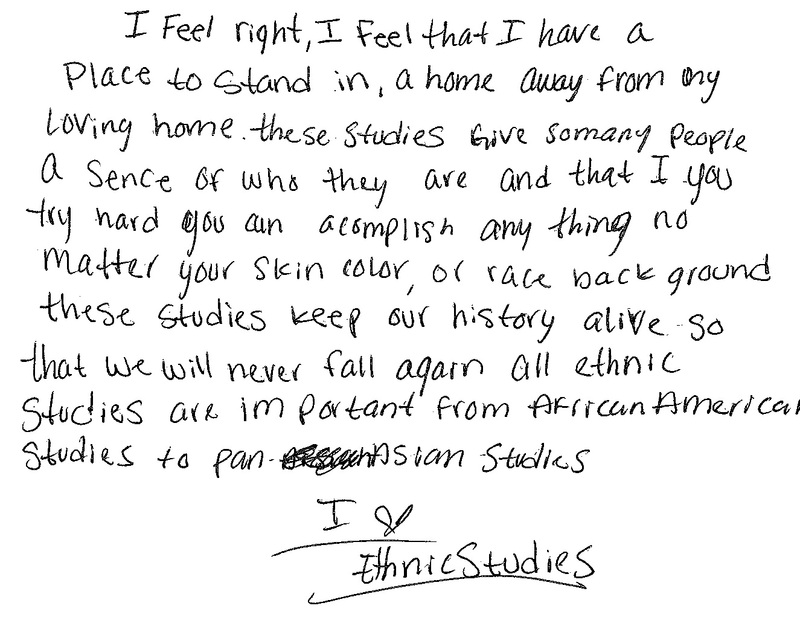 Currently, we have lived through the racism that exists here against our Latina Community. 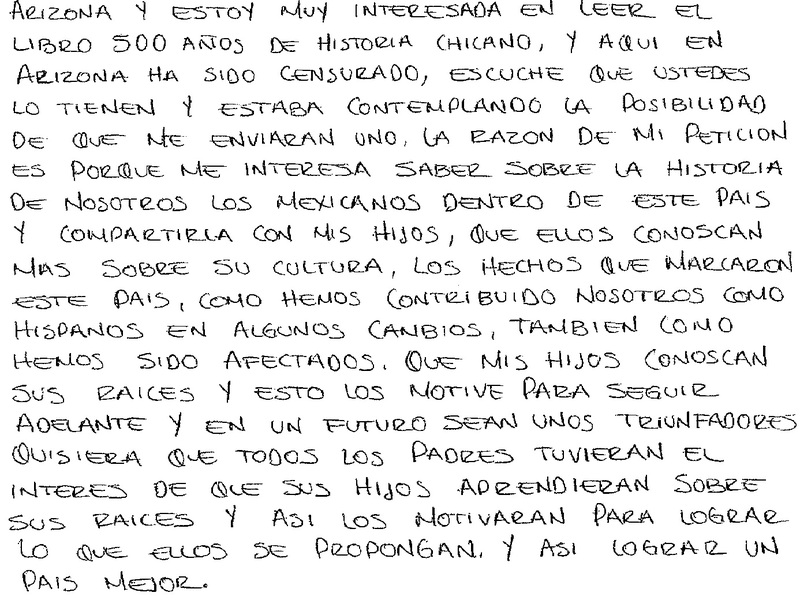 I am very interested in reading the book 500 Years of Chicano History to gain more knowledge and have more information about our history. We can teach our children better if we start first by educating ourselves. 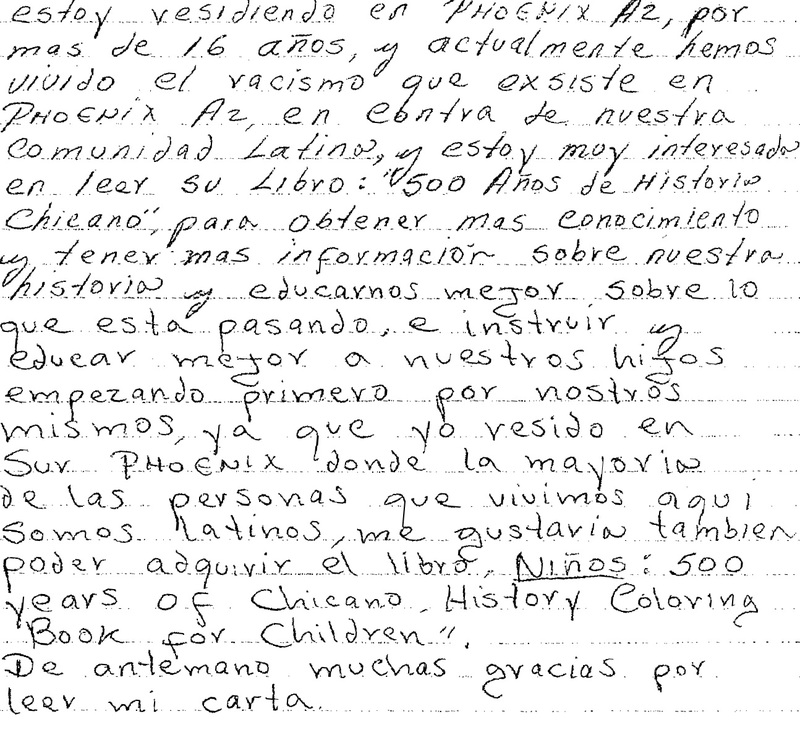 I live in South Phoenix and most of us who live there are Latinos. 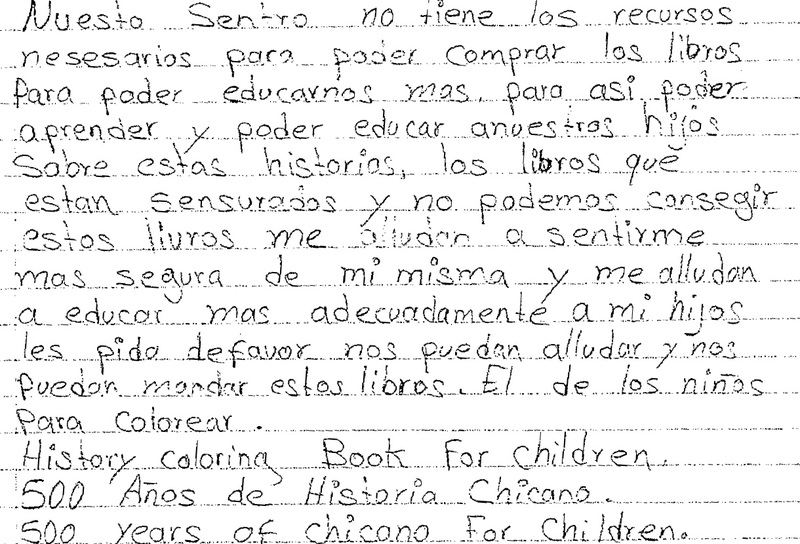 I would also like to receive a copy of the 500 Years of Chicano History Coloring Book for Children. Hello. My name is Maria. I am a second language student. 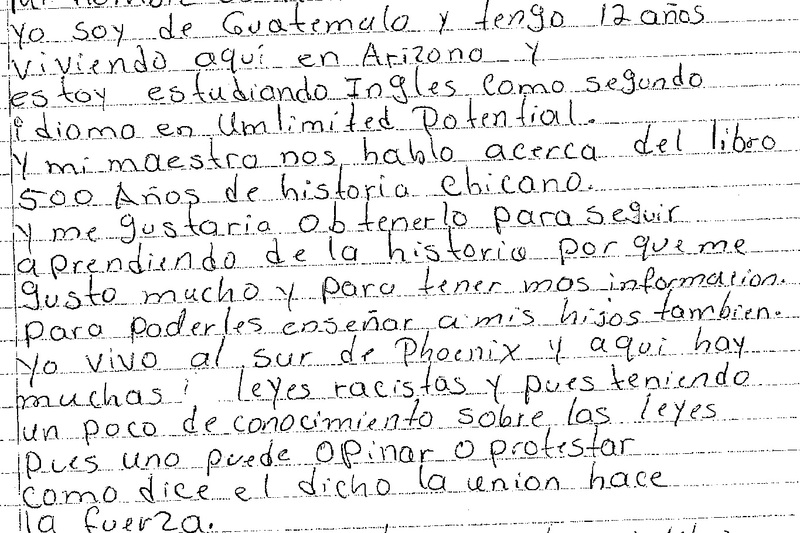 I study English in Phoenix, Arizona. 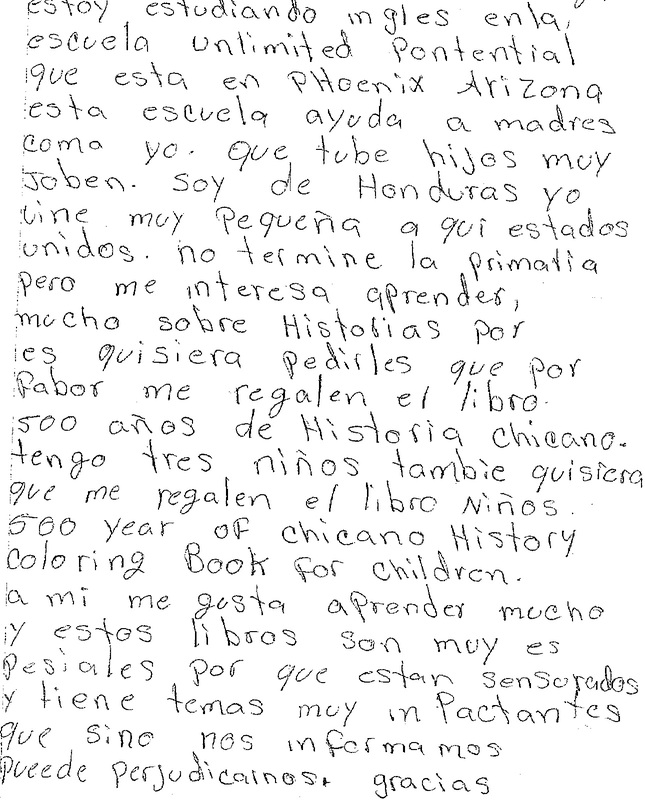 Our center doesn’t have the resources to buy books so that we can further our education. We want to learn and be able to educate our children about history. We can’t obtain the censured books and these books help me feel more secure about myself. These books help me teach my children. 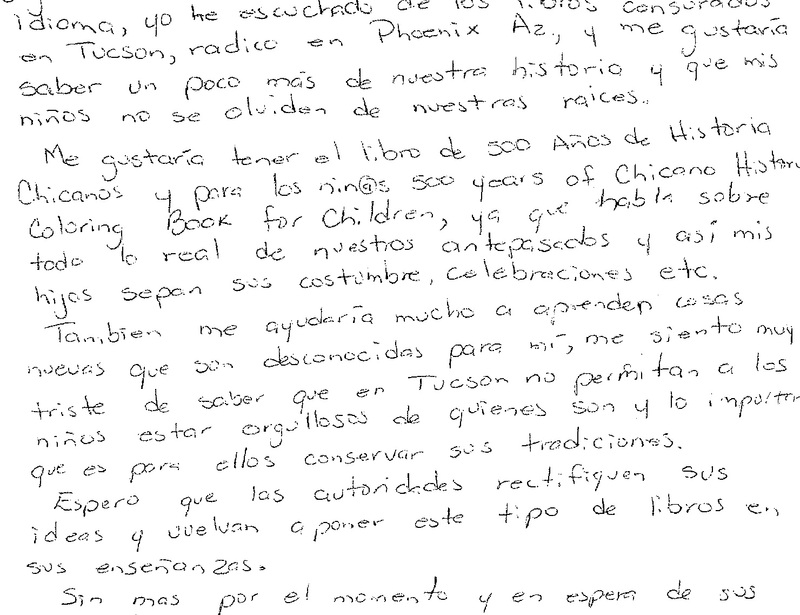 I am asking for your help, please, by sending us these books: 500 Years of Chicano History and 500 Years of Chicano History Coloring Book for Children. “My name is Oralia. 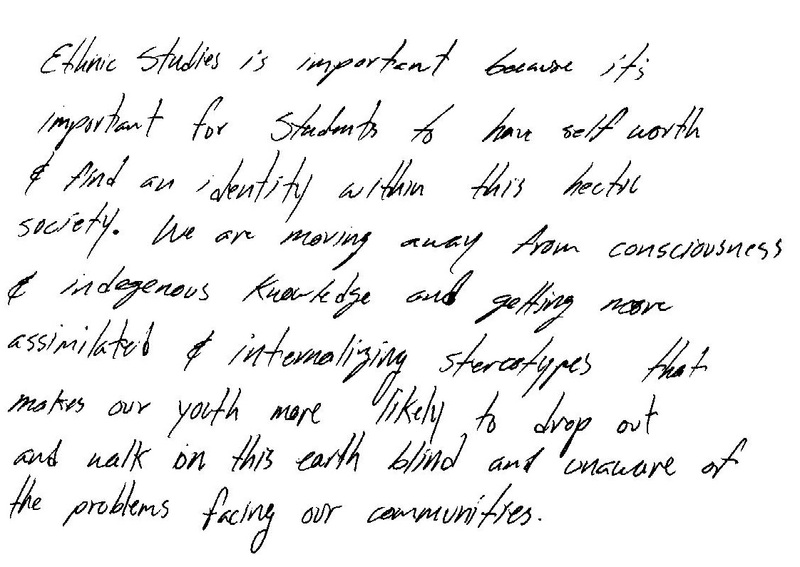 I am a student at Unlimited Potential. 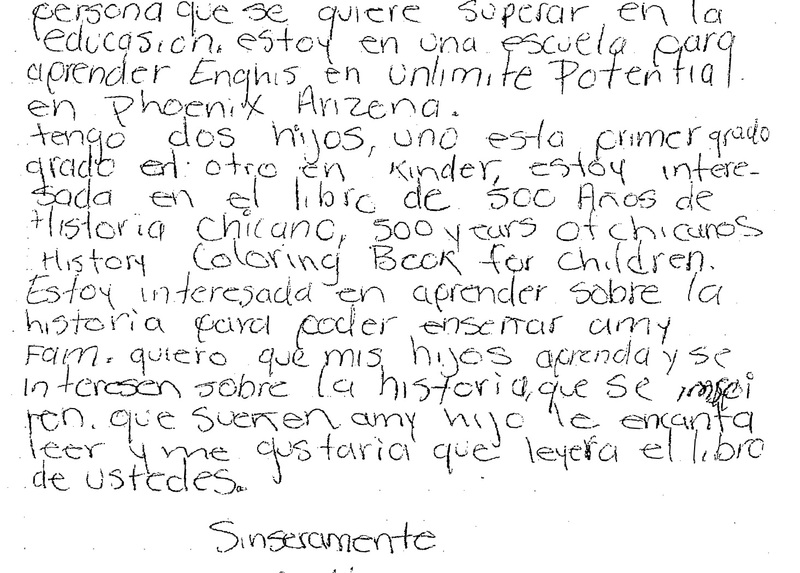 I am learning English as a second language but I am also interested in learning more about history because I am a mother with two children who I want to provide with the best education about their roots. Their history is the foundation of their lives, it’s part of their identity. A person without identity doesn’t have direction and can’t be functional in life. For this reason I would like to have the opportunity to read 500 Years of Chicano History and the coloring book version for my children. It is very important for me as a mother to educate myself and my children. Ignorance has no excuse. 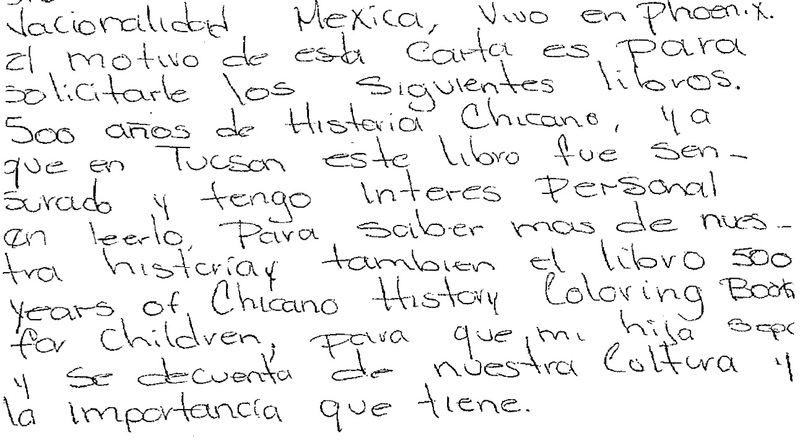 “I am a student at Phoenix College and I wanted to let you know why I hope to get a copy of the book. 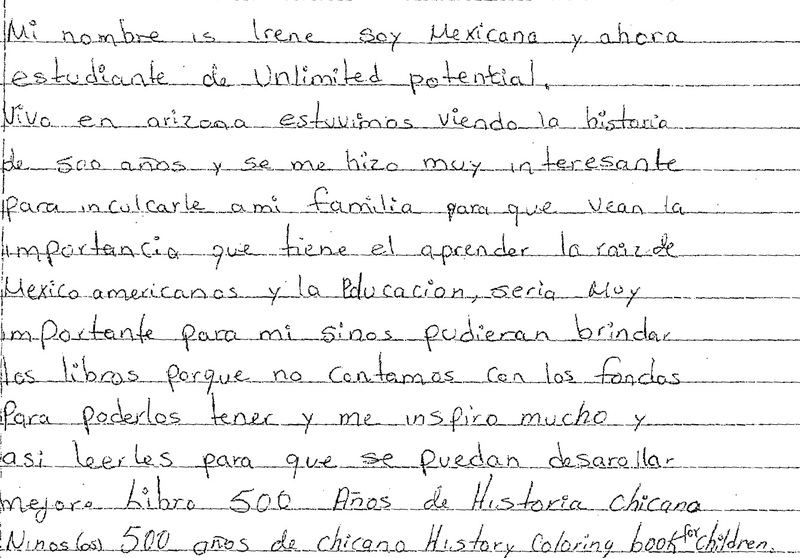 Firstly, let me say that I do not agree with the TUSD’s decision not to teach any chicano/native american studies in it’s curriculum and I hope that there is a consciousness within the education system to reverse this travesty. As a new citizen to this country and state, 3 years and counting, I was appalled by this act of totalitarianism to decide which history takes precedence in education in the Americas; a nation of more than one culture and ethnicity by which the majority decide that the indigenous peoples do not deserve to be recognized in their own states whether or not those boundaries still exist today or not, those familial and cultural ties do! This in my view is tantamount to cultural genocide, so if no one explains/outlines where people’s heritage evolved from – does this mean that soon, these people do not count and become an underclass and marginalized unless government statistics require it for funding or god-forbid a census? 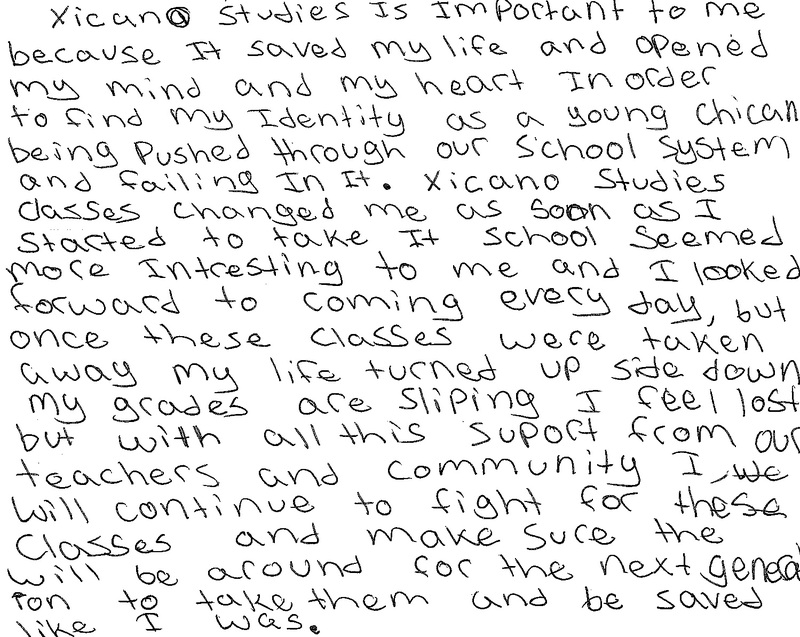 “Teaching the history of Chicano and Native American history to young people is very important because students are more informed, become more understanding, and appreciate more who they are and where they come from. The understanding of our own history led us to know the reasons why. 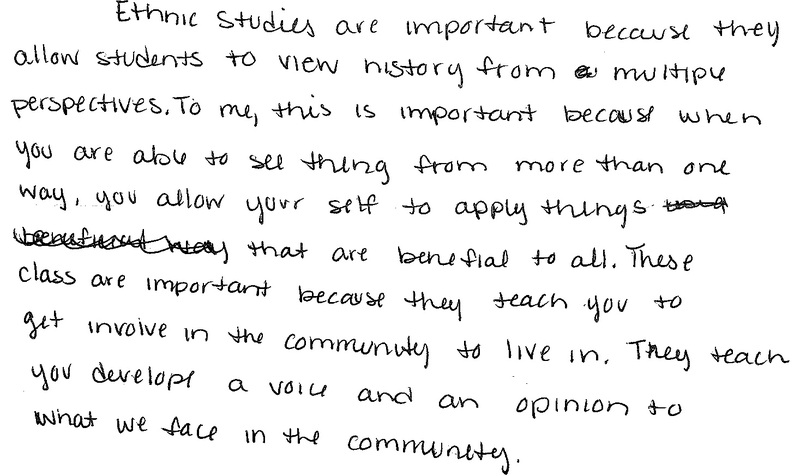 By learning their history, students become open-minded and they appreciate their culture and the culture of others, as well as their celebrations, religions, and traditions. 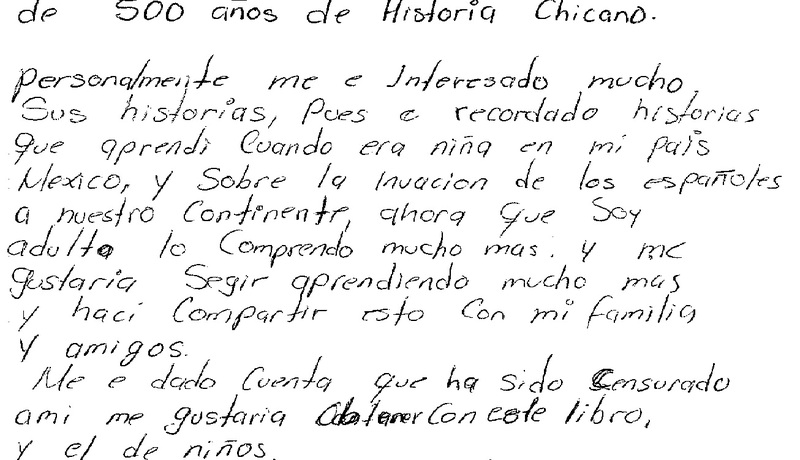 It is also beneficial to learn about the history in America of the people that have lived here, their migration, their struggles, and their progress. 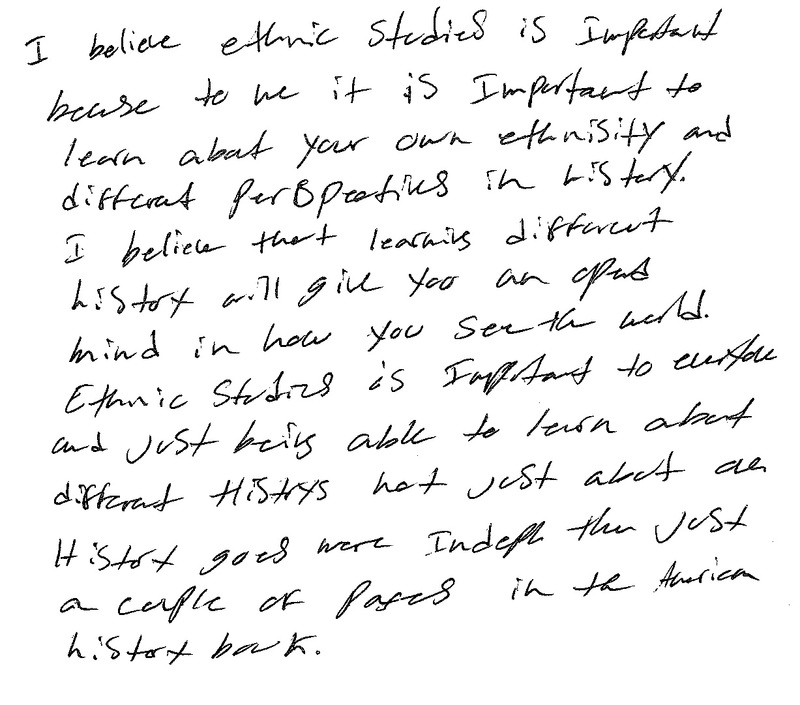 I think learning a little more about history makes students more diverse and richer in culture and knowledge. 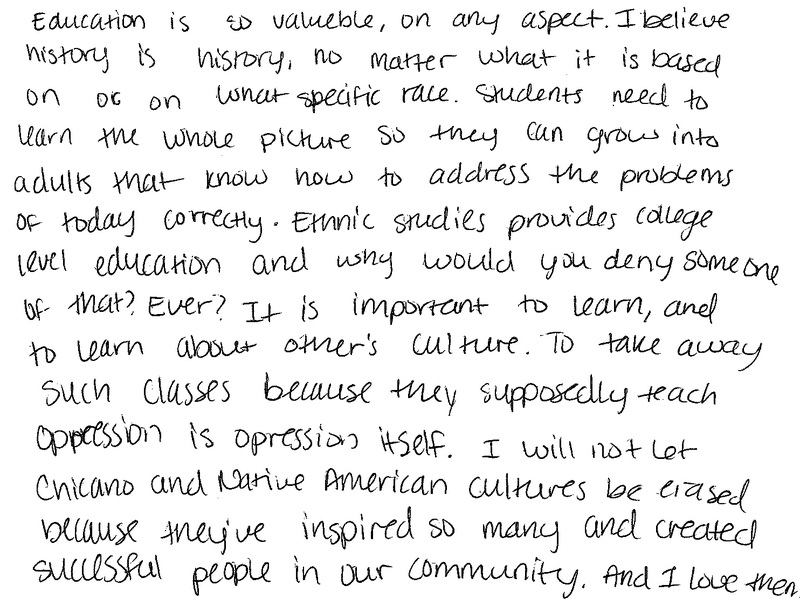 “Teaching ethnic studies is essential, especially in a country like the USA, where people from so many different ethnic groups live side-by-side, often without much interaction between them, and almost always without much awareness on the part of the dominant culture about the lives, histories, and challenges of their “minority” neighbors.